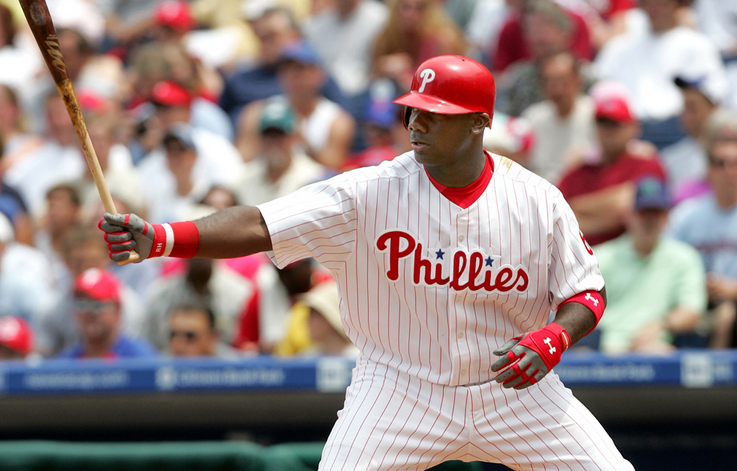 Ryan Howard was never all that great of player, from a sabermetric standpoint. But there was a time not so long ago that he was a five category fantasy beast, averaging .274 with 44 homers, 96 runs and 133 RBIs a season between 2006 and 2011. Nobody is going to consistently put up those kind of power numbers these days. Especially Howard, who’s 34 and playing on a bad leg. However, the Big Piece is swinging the bat as well as he has since 2011, coming within a scoring decision of a cycle on Sunday in Colorado. 30 home runs and 100 RBIs with a OK batting average suddenly doesn’t seem out of the question. Besides the injuries, the main driver of Howard’s rapid decline has been his inability to hit left-handed pitching. But if you’re a fantasy owner the lumbering first baseman $25 million a year contract shouldn’t compel you to start him against southpaws, like it does his real-life team. By pairing Howard with another first baseman who struggles against lefties — think Adam Dunn, the recently-traded Ike Davis or Lucas Duda — you can create a “platoon” that has a good chance of outperforming most high-priced full-time fantasy first baseman. Since Howard is available in more than 30 percent of Yahoo! leagues, and Davis, Dunn and Duda are in the scrap bin of the majority, this power hitting chimera is basically free. 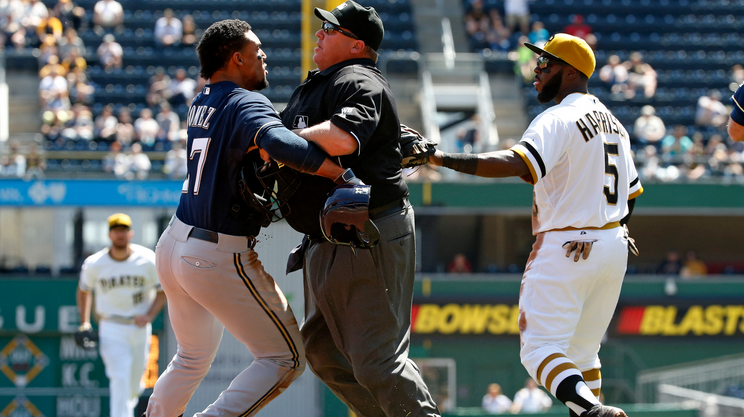 On Sunday, baseball jerk Carlos Gomez angered Pirates pitcher Gerrit Cole by posing and flipping his bat on a drive to center that didn’t quite get over the wall. A brawl ensued and Gomez threw some punches. A suspension for the violate Brewer is likely. So are more long drives to center, some of which will be more worthy of a bat flip. The Mets replaced the old and ineffective Jose Valverde with the old and likely ineffective Kyle Farnsworth. Pick him up, and hold your nose, if you have to. Nobody is really sure who’s closing for either Chicago teams. The Cubs haven’t had a save situation arise since Jose Veras was demoted more than a week ago. Veras hurt his case to be reinstated on Sunday, getting roughed up in mop up duty against the Cardinals. Pedro Strop and Hector Rondon are probably the best bets to get saves for the Cubbies in the coming week. They also have the potential to blow up your ERA. On Wednesday White Sox manager Robin Ventura let Maikel Cleto pitch the ninth inning with a one-run lead. He promptly began walking everybody. Matt Lindstrom – who had been the team’s embattled closer — was brought in to clean up Cleto’s mess and got charged with a cheap blown save. We guess Lindstrom is still the closer, at least until Nate Jones returns from injury. This might be situation to just stay away from.